This summer Kryder unveils what may possibly be one of the year’s anthems. Revisiting one of the all time trance classics, Plummet’s ‘Damaged’, Kryder has stuffed it with a massive dose of dance floor energy that makes it sound right at home in 2012. The track has big room kick drums, crystal clear mix quality, a huge breakdown and one of the most talked about UK vocalists of 2012, The Voice’s Bo Bruce. 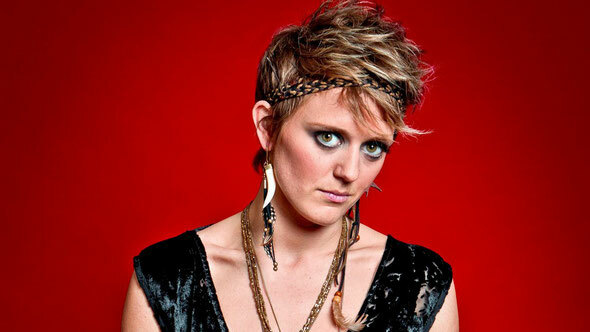 Bo Bruce wasted no time in focusing her attention to recording after her run into the final of the BBC’s nationwide talent search ‘The Voice’. Hotly tipped for major success from key figures across the board, ‘Damaged’ looks set to act as a springboard for her hotly anticipated solo career. Have a listen to the track below, where it was previewed on Danny Howard’s BBC Radio 1 Dance Anthems show. We’re liking this a lot!